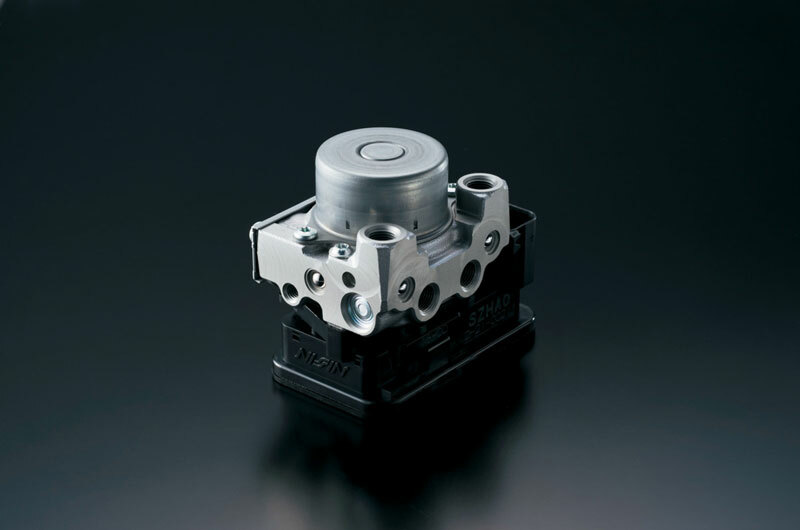 Forged three-ring aluminum-alloy slipper pistons provide superior strength. 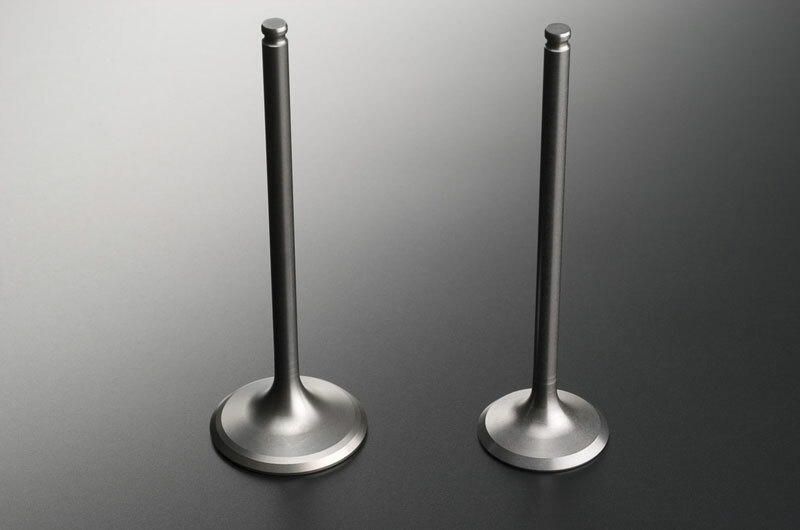 The oil control ring on each piston is electro-plated with a chrome-nitride coating applied in a vacuum chamber using a Physical Vapor Deposition (PVD) system. 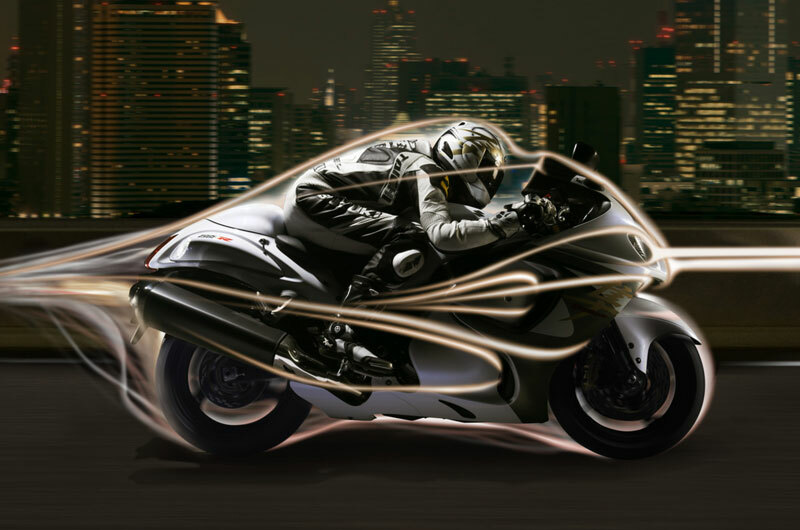 The chrome nitride PVD coating is harder and smoother than conventional chrome plating, reducing friction while improving cylinder sealing. 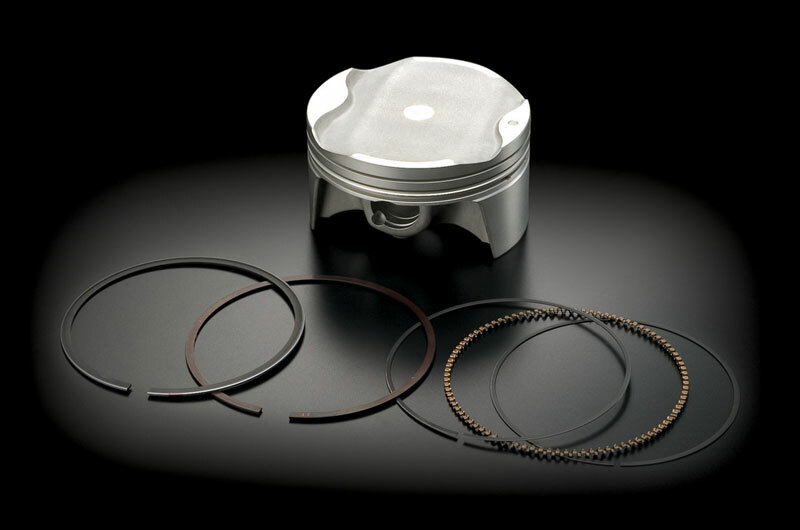 The upper piston ring also features an L-shaped cross section, with combustion pressure pushing the ring tighter against the cylinder wall to further reduce blowby and increase the force actually pushing the piston down. 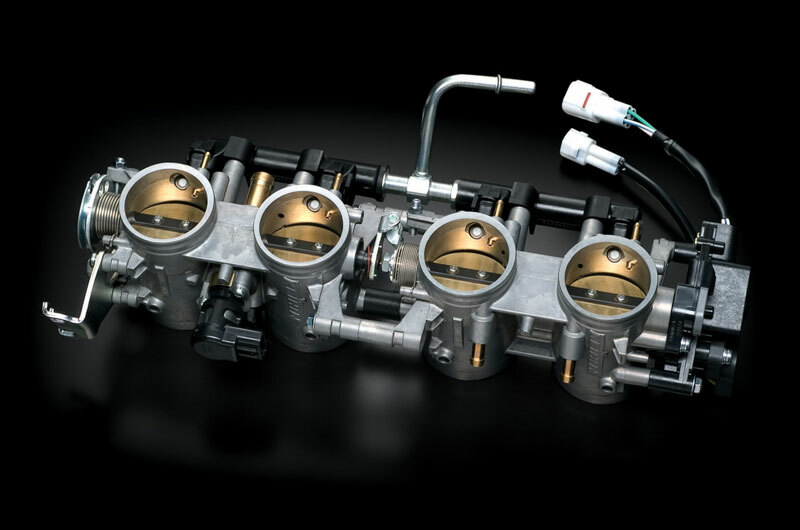 A new, standard equipment Antilock Brake System (ABS) unit features a lightweight, compact design. 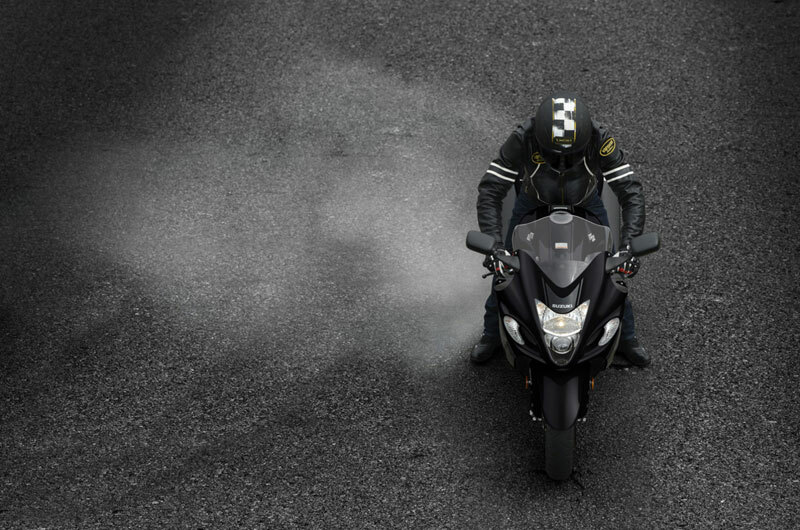 The ABS enhances brake performance by helping prevent, to a certain extent, wheel locking due to changes in road conditions or excessive braking, by matching stopping power to available traction. 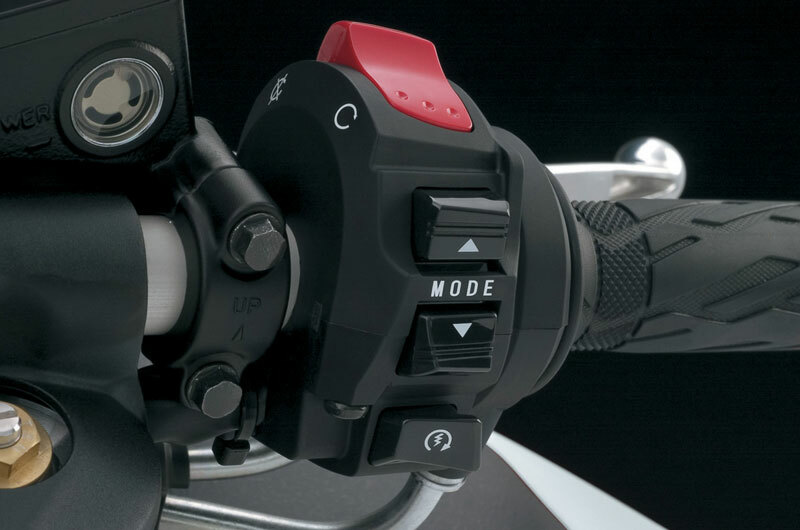 Note : The ABS is a supplemental device for brake operation, not a device for shortening stopping distance. 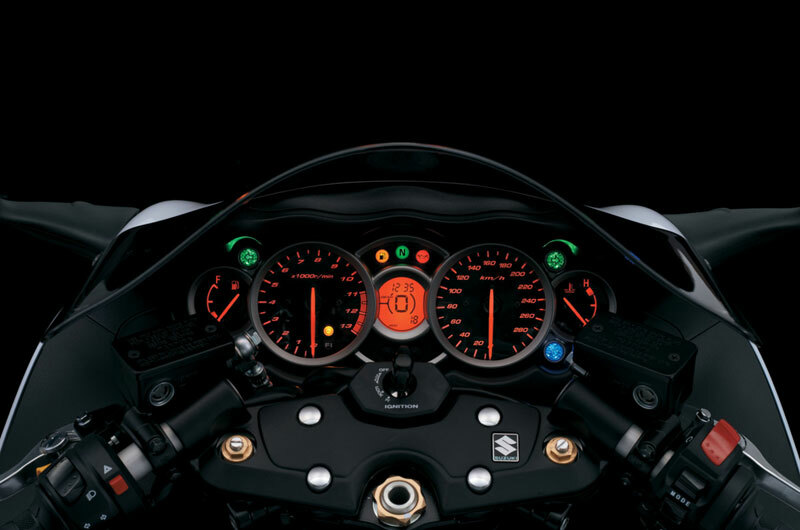 Always remember to reduce speed sufficiently before approaching curves. 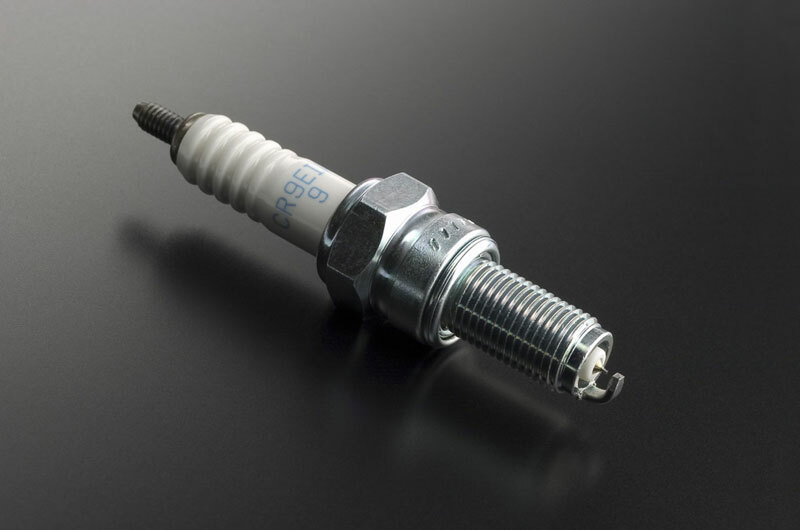 An individual coil built into each spark plug cap and spark plugs with finer, Iridium-alloy electrodes produce a hotter spark and more complete combustion; the Iridium-alloy spark plugs have double the service life of conventional spark plugs. 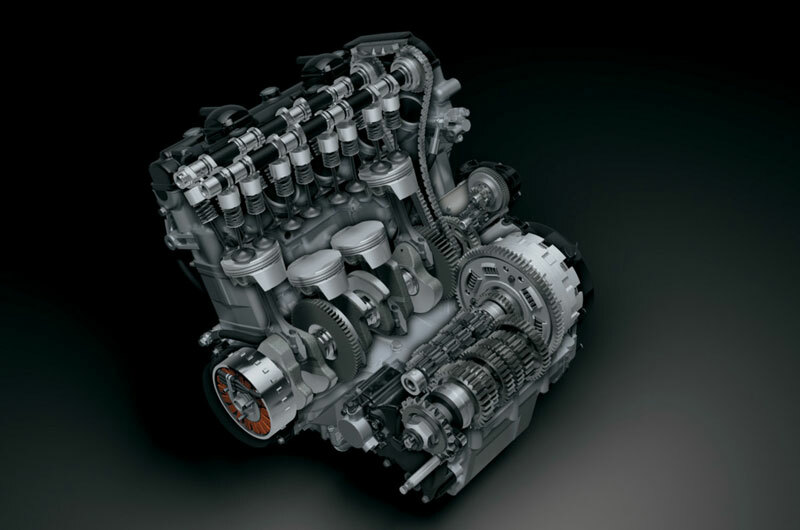 A lightweight and rigid twin-spar aluminium frame minimizes weight while maintaining high torsional strength. 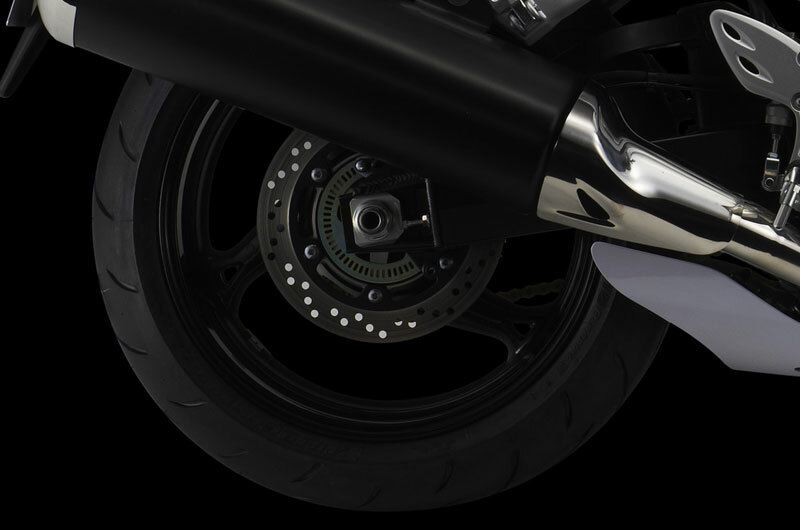 A bridged aluminium alloy swingarm features a cross-sectional shape for increased rigidity, which also helps cope with improved rear tire grip and increased engine output. 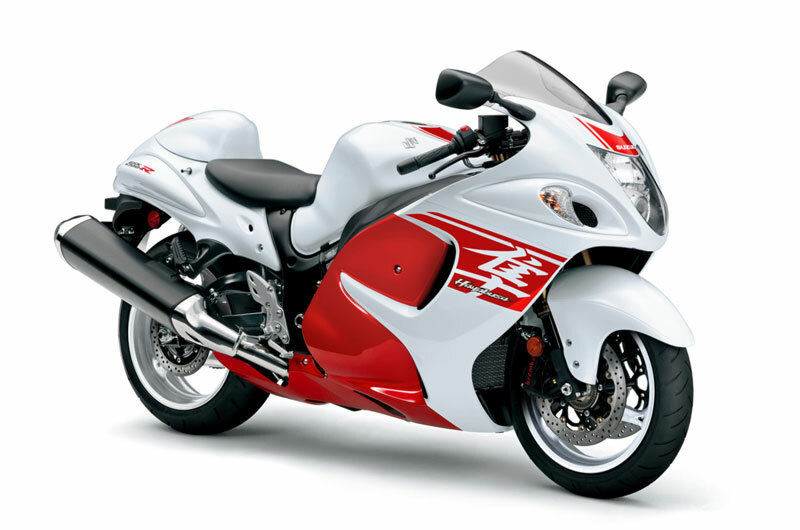 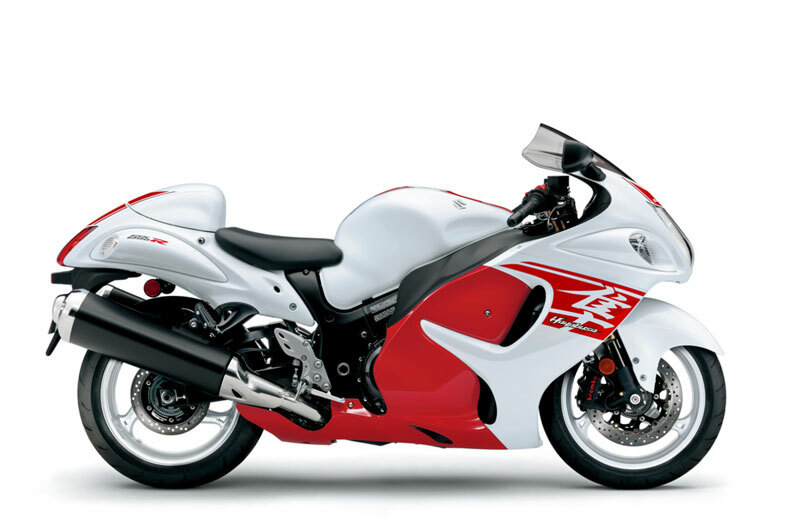 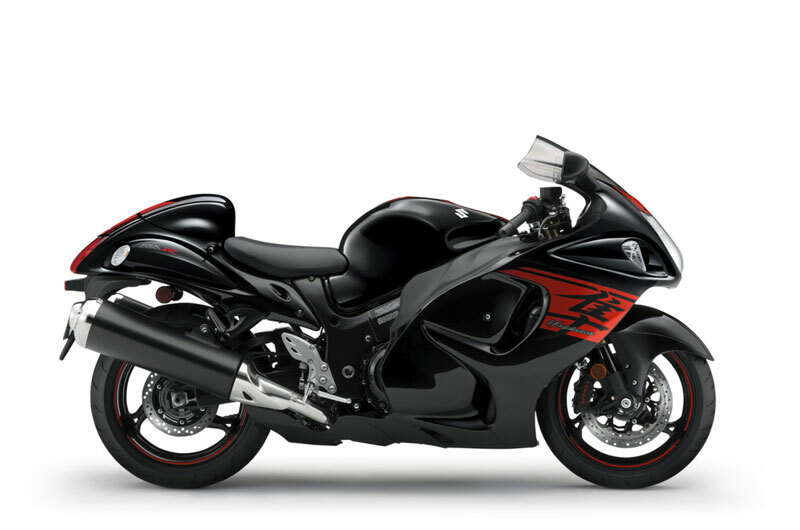 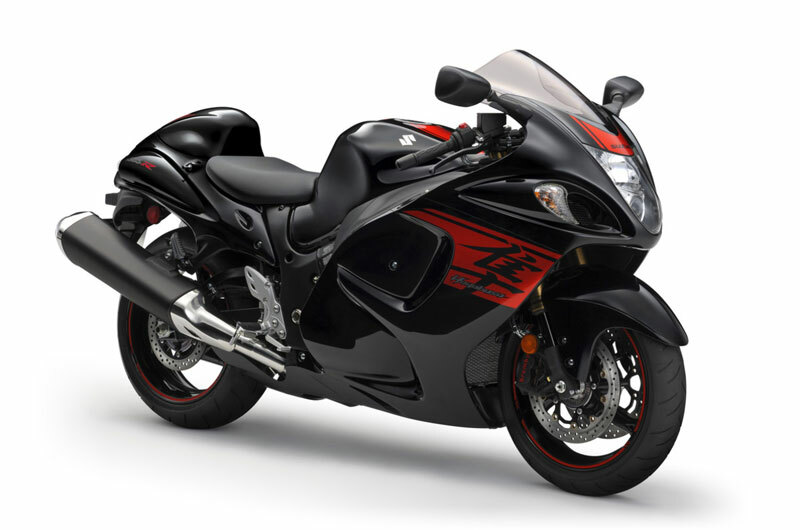 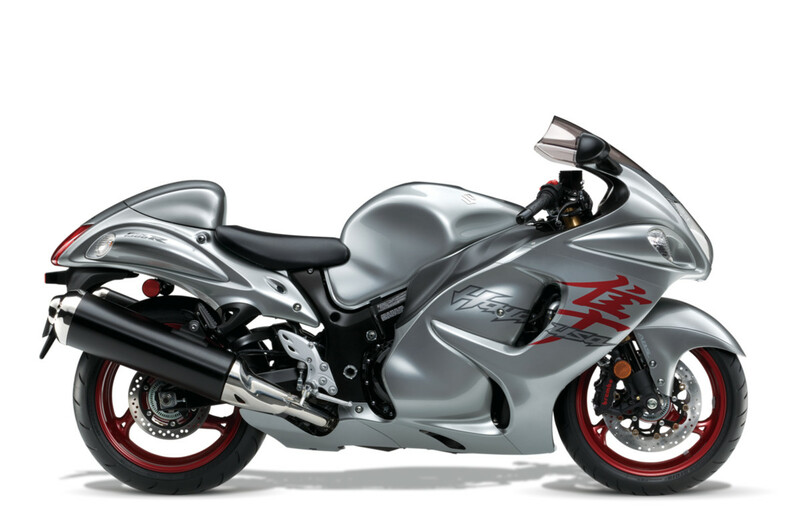 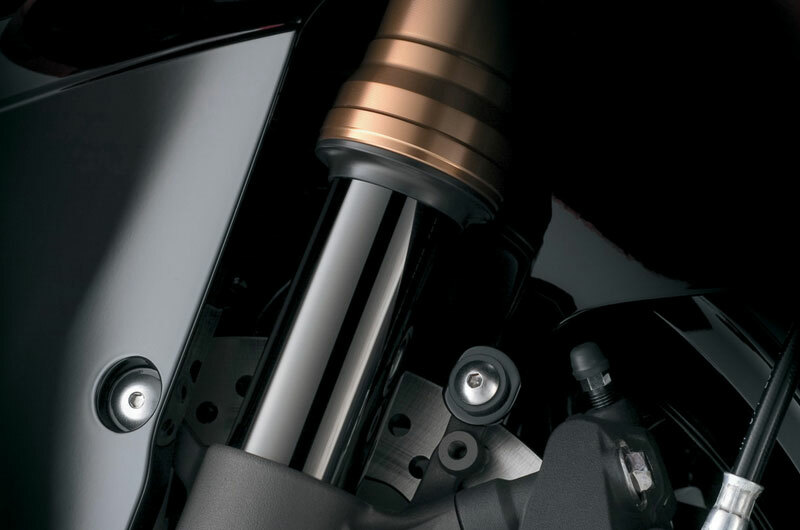 The Hayabusa's fully adjustable rear shock absorber has a 43mm piston and 14mm rod diameter.